Eeek! Such a great goodie bag this month! 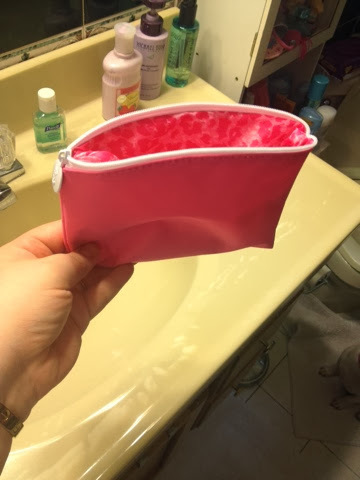 The bag itself is a really pretty plain pink one with a floral lining. 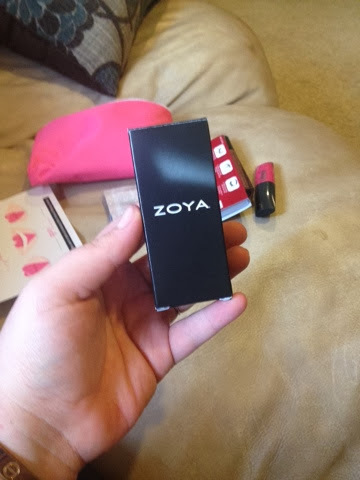 February's theme was "The Look of Love"
A full-size Zoya Polish was in mine. It's a beautiful creamy, baby pink in Dot. 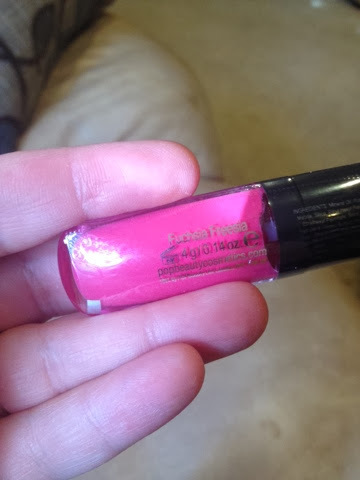 I'm not 100% sure if this is a liquid lipstick or a stain or just a gloss or what, but I know it's crazy gorgeous. 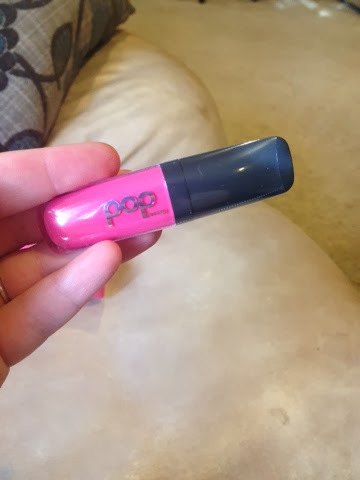 It's by Pop Beauty and the color is Fuscia Freesia. It smells a little funny, to me anyways, kind of plastic-y or chemical-y? Maybe even like a...skunk? Haha! 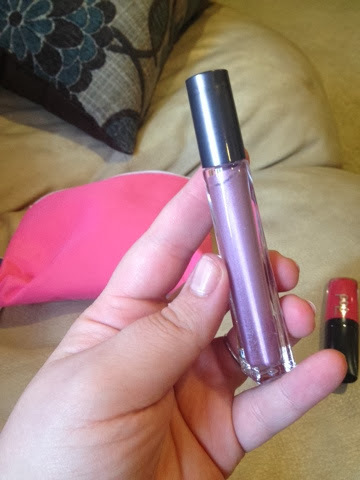 But the smell seems to go away after a while when you apply it, and it just looks SO pretty on. I'm also really impressed with the packaging. 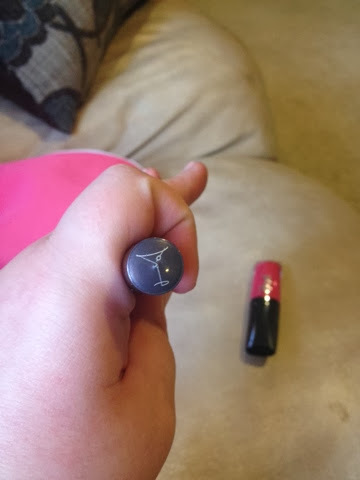 The handle is nice and sturdy and feels just like a Nars case. Love how it looks just not crazy about the scent. I'm not for sure who makes this, but it is FABULOUS. 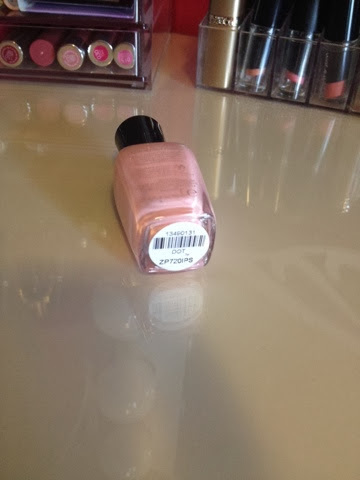 (Swatched at least, I've not worn it yet). 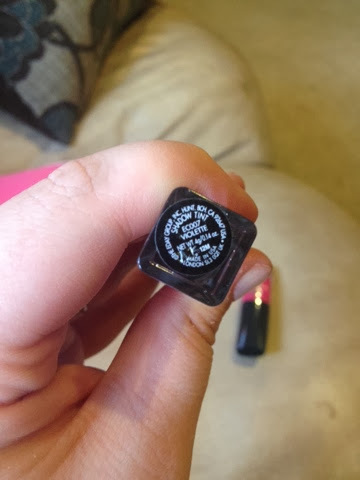 It's a cream eyeshadow in Violette, a gorgeous purple metallic. 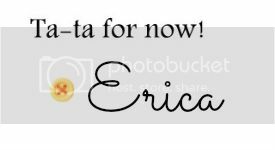 OMGsh, couldn't love this more. And it's adorned with a little martini, how cute is that? 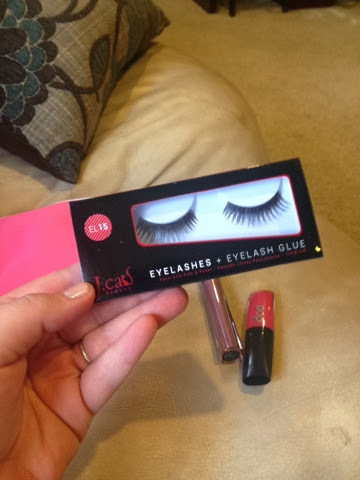 A pair of 100% human hair eyelashes. If you know me at all you know fake lashes aren't my thing (I NEVER wear them). But, they are good to have on hand. You never know! 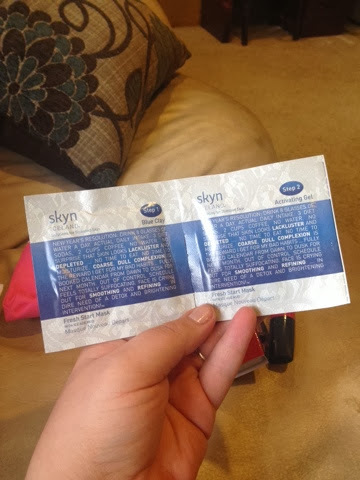 This is a 2 step mask/facial by Skyn. Basically, you first apply a layer of the clay mask, then you top it with a layer of the activating gel, kinda rub it all together with your fingers and it turns into a foam. You let the foam sit for 5-10 minutes and rinse. I went straight in the bathroom and did this (I have enough for one more treatment left over), and it felt great. A little hard to rinse off, but leaves your face feeling really soft. I really like it! And that was it! Let me know if ya'll got anything different and what you're loving in yours. 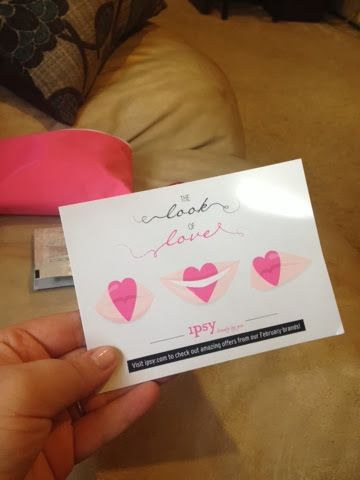 I'm really, really happy with my Ipsy subscription, I just hate I waited so long to join!